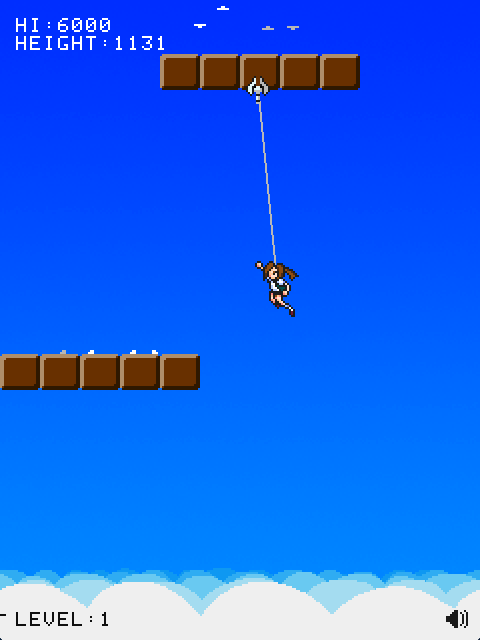 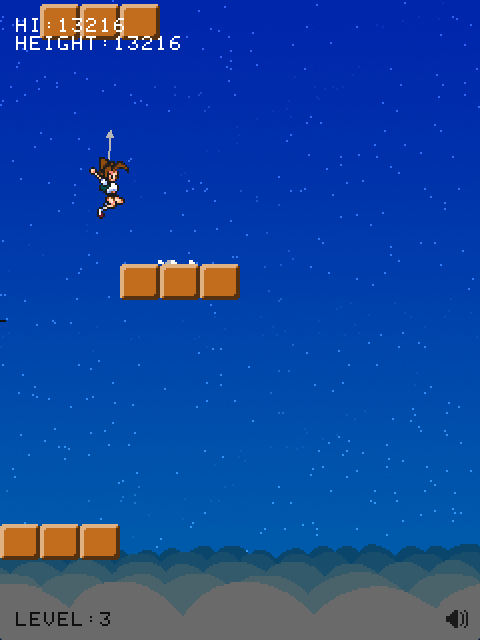 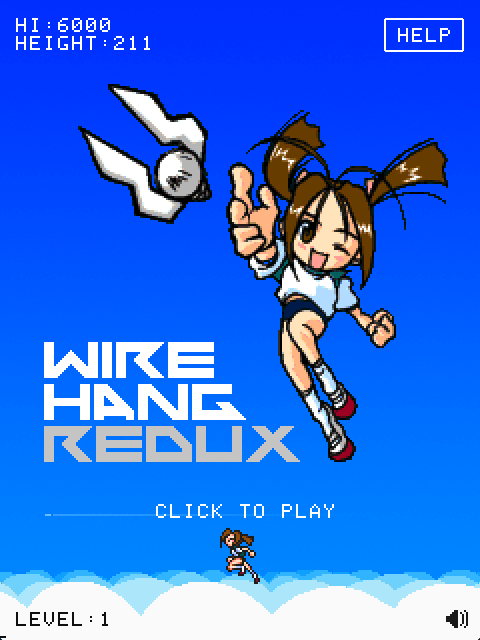 Wire Hang Redux is a simple yet addictive coffee-break action game where you use a grappling hook to climb high into the sky! 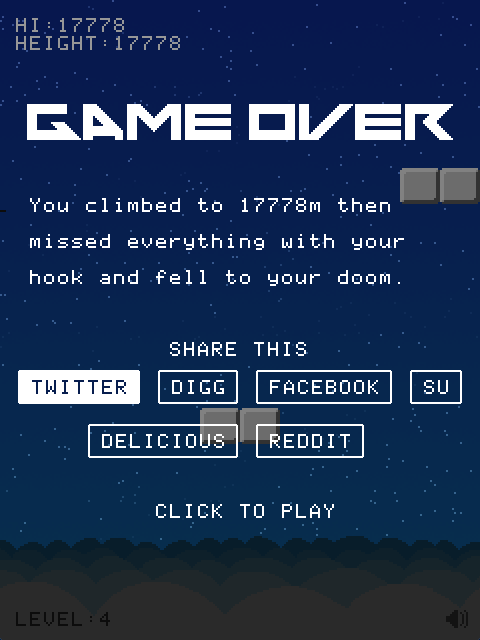 If you fall past the bottom of the screen it's game over. 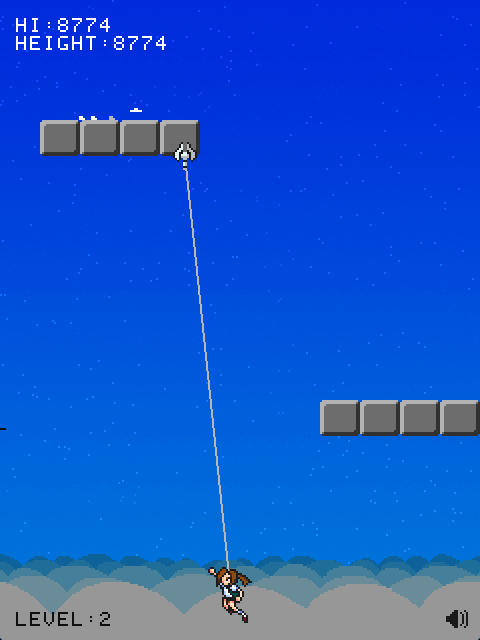 Beat your own high score!